News | Asian Aerospace Services Ltd - Breaking Aviation Frontiers! 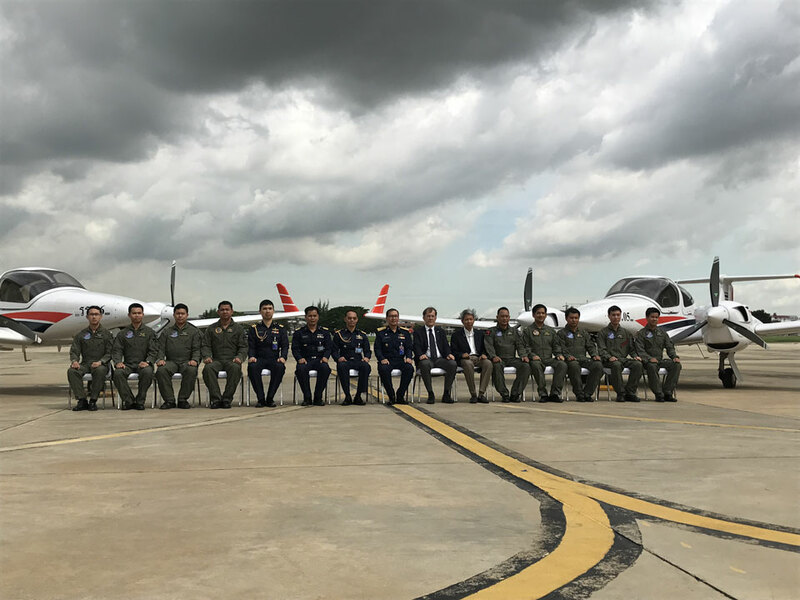 Asian Aerospace Services (AAS) has handed over four brand new DA42VI to Royal Thai Air Force on June 6th, 2017. The colours and markings have been put locally by AAS. 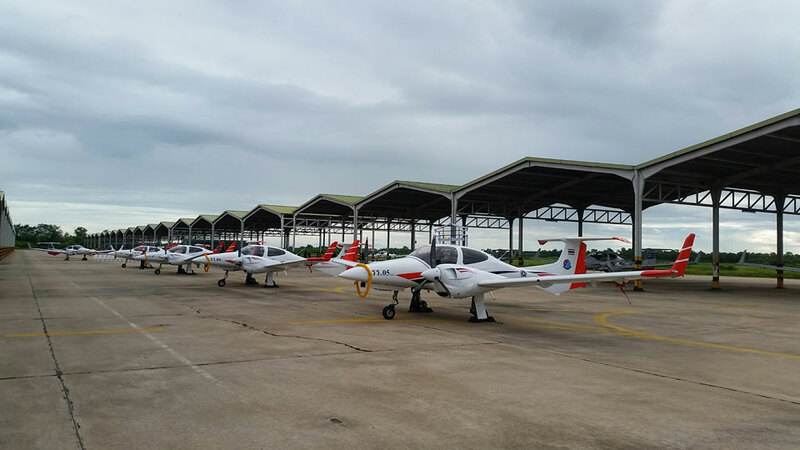 The Royal Thai Air Force is now operating 15 DA42, 10 for training and 5 for special mission (DA42MPP). The operation of 11 aircraft over many years with many thousands of flights hours has been the best and most convincing evidence for the Air Force, that to continue with the new generation of DA42VI is the right decision in order to fulfil their mission. The DA42VI is an unsurpassed platform towards safety, performance, reliability and economy and Best-in-Class” aircraft on the market. Asian Aerospace Services, together with Diamond factory is very happy that the Royal Thai Air Force has selected the aircraft based on safety, performance, and After Sales Services.